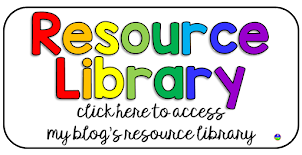 Everyone loves free teaching resources! 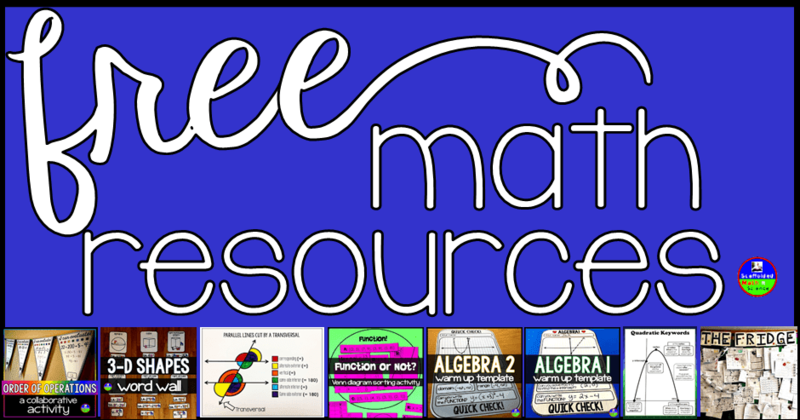 In this post I want to share some of my free resources as well as ways to get even more math resources for free. But first! Here are some ways we can connect. There is a Facebook group called Visual Math that has been growing as a place for teachers to share ways to reach all learners (and for me to share free stuff). 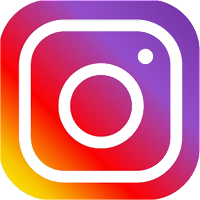 Instagram is a smaller community and is a little more "behind the scenes" (ie: where I like to share random stuff). 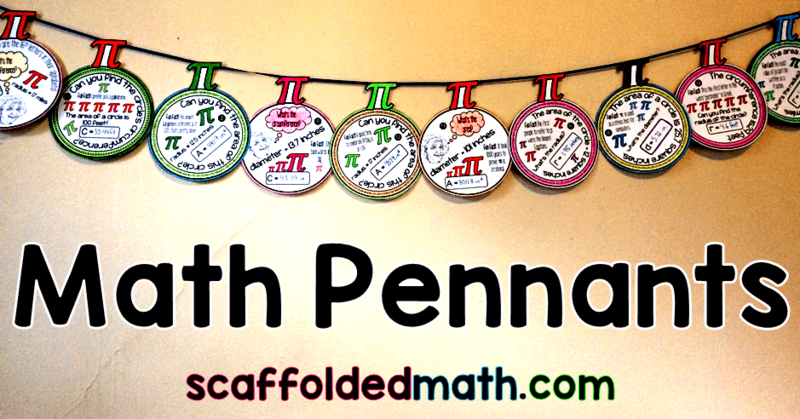 You can also always reach me at shana@scaffoldedmath.com. OK, now on to the free stuff! 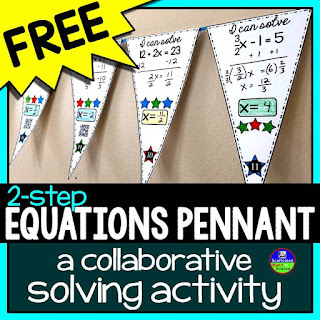 As a thank you for subscribing to blog updates, you will be sent this 2-step equations math pennant. Growth Mindset is everything! 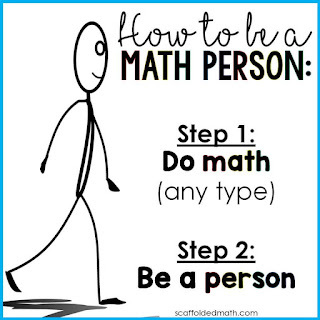 This free How to be a Math Person poster reminds students that we are all math people. 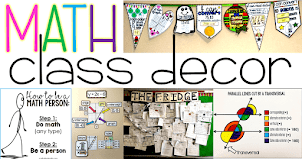 I love everything about math word walls have written a lot on this blog about the ways they changed my teaching and my students' learning. 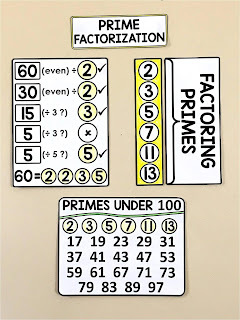 The above prime factorization references are free in the blog post Can We Really Teach Number Sense? 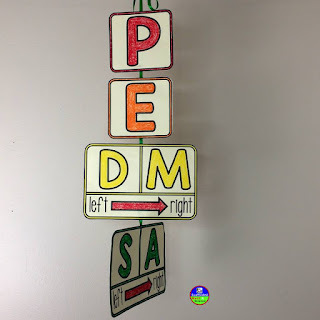 This PEMDAS mobile (that also includes a G) is free in the blog post A Math Word Wall PEMDAS Mobile. 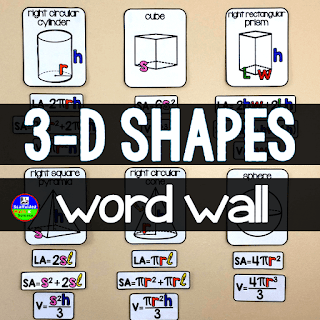 This free 3-d shapes word wall covers volume, surface area and lateral surface area and has options for either CCSS or TEKS formulas. This parallel lines cut by a transversal coloring page helps Geometry students make sense of angle pair relationships. 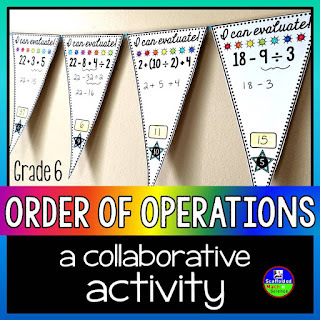 This Order of Operations pennant is a fun way to practice order of operations. 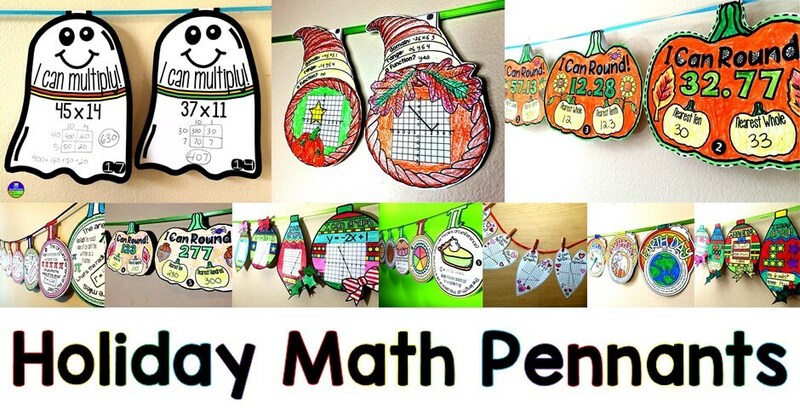 Best of all, the end product looks great hanging in your classroom. 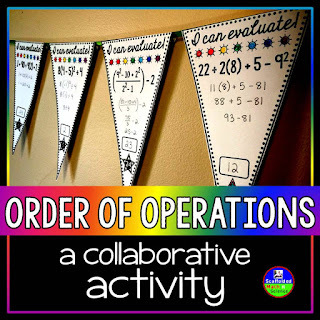 This Order of Operations pennant is for younger kids. 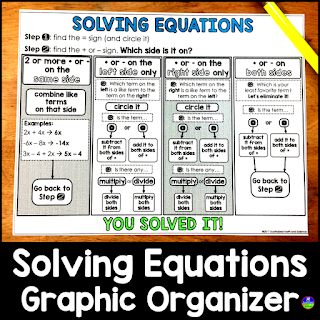 This solving equations graphic organizer is designed for kids who are having trouble solving equations. 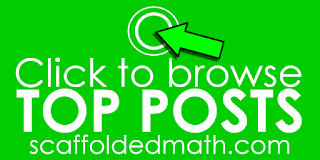 This Language of Math poster links the words kids see in word problems to their symbols. 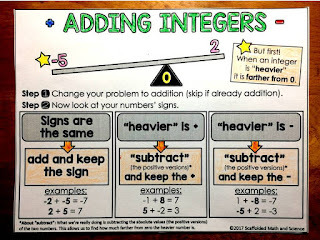 This integers graphic organizer helps kids "see" the relationship between positive and negative numbers. The questioning on the sheet has helped so many of my students overcome their integers roadblocks. 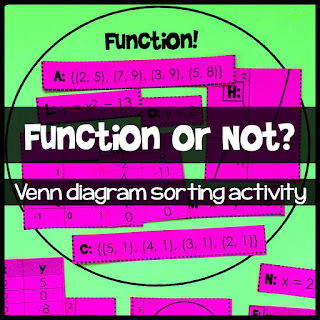 This Function or Not sorting activity is a great follow up after an introduction to what makes a relation a function. 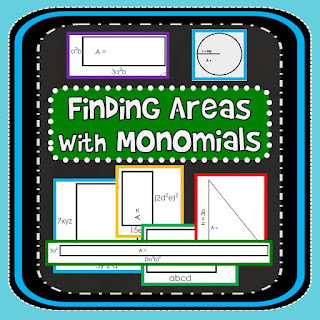 Finding Areas with Monomials links what kids already know about finding areas of rectangles to multiplying monomials. It's great practice during a unit on exponent rules and polynomial multiplication. 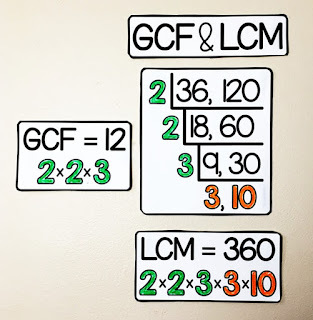 GCF and LCM are easy to find with this method. This reference here is free in the post Finding GCF and LCM with the Upside-down Cake Method. 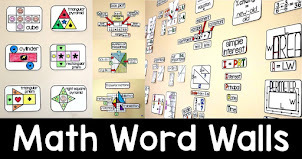 This quadratic keywords poster has helped my students tremendously sort out when a quadratic word problem is asking for a part of a maximum or a zero. 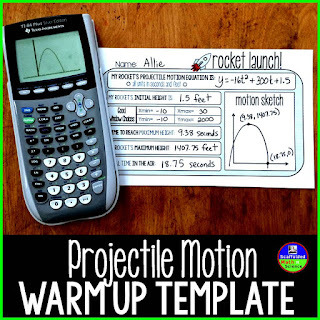 We use this projectile motion warm up template during our unit on the graphing calculator and projectile motion. 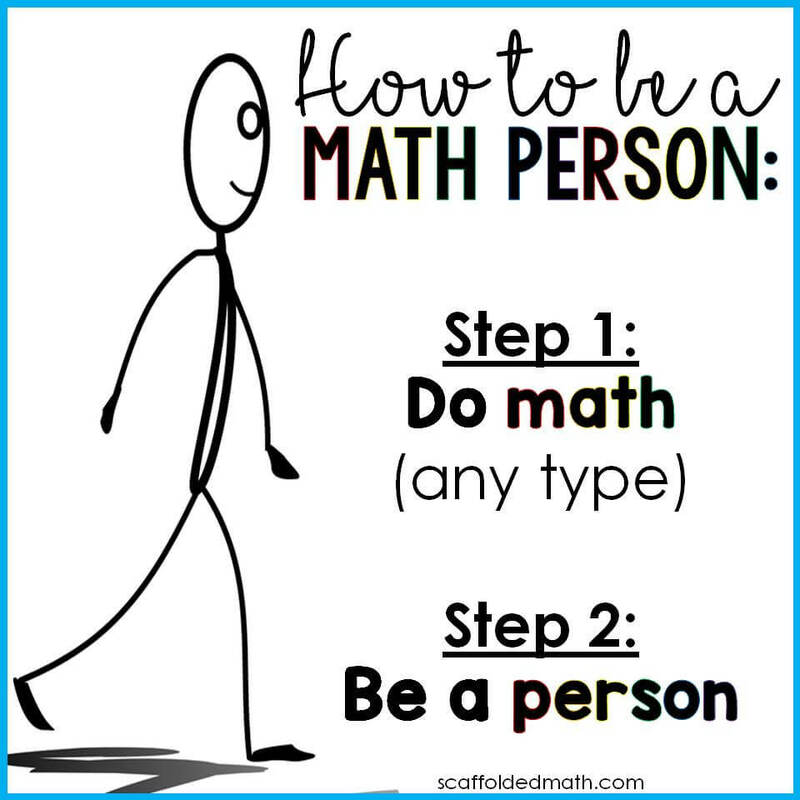 It really seems to help my students develop all the skills they need to solve quadratic word problems. 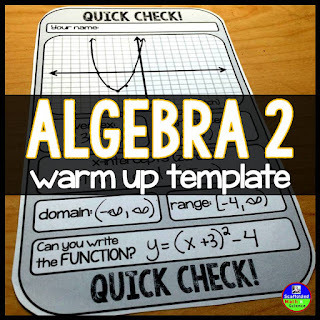 This Algebra 2 warm up template is BY FAR my favorite way to make warm ups in Algebra 2. 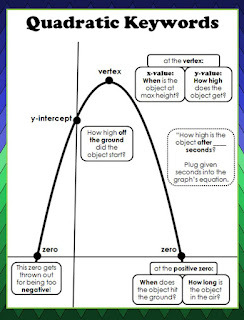 It's a template that can be used with any graph or equation you shine on the board. 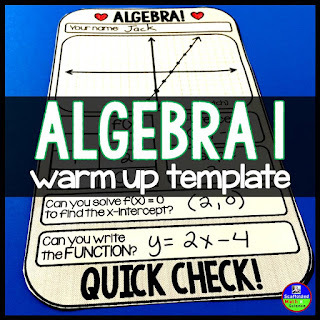 I liked the Algebra 2 warm up template so much that I made an Algebra 1 warm up template. 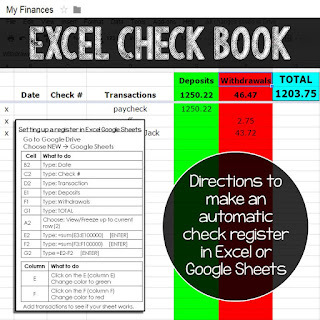 I give this set of directions to my Consumer Math students so that they can set up a digital checkbook in either Excel or in Google Sheets that automatically calculates a student's balance. 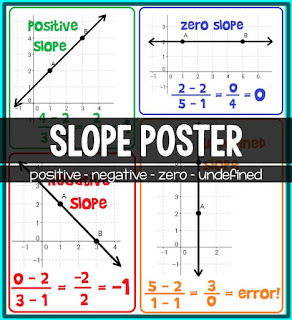 This slope poster reminds students about the 4 types of slope we may see. This is the download of letter pennants to spell The Fridge on your classroom bulletin board. 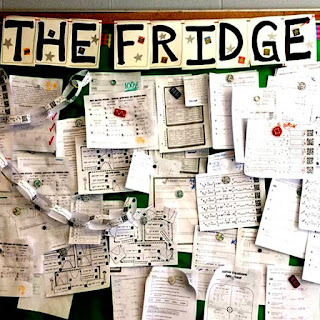 The cover is a photo of our classroom fridge where students choose to hang their graded papers. 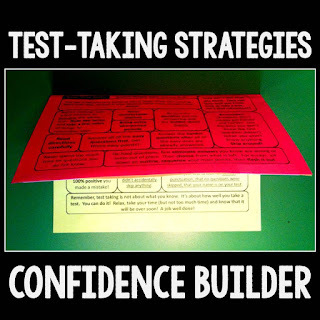 I love this test-taking strategies foldable. It's chock full of tips for kids to relax and believe in themselves. 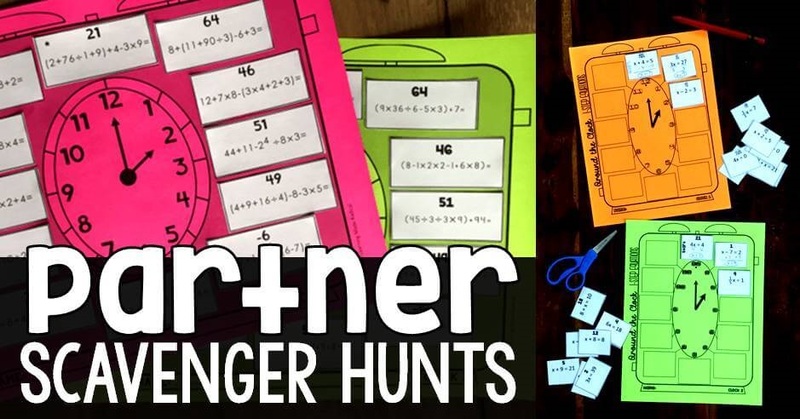 These editable Number Talks slides totally transformed my teaching. 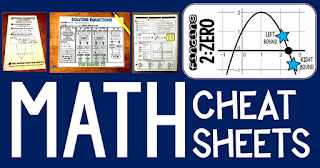 Here's where I have linked all of the free math cheat sheets on my blog. Loving your blog! I will definitely be visiting more! am i free to download these and use them myself? 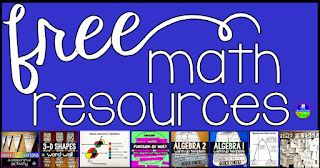 especially the algebra related UK freebies as they are hard to come across, great blog! The sheet is now linked right into the post. I have 2 places for freebies on my blog, which is way too confusing! I was looking for the synthetic division one, too. I can see the blog post for it (where that link you posted above sent me to), but the blog post just sends me back to this freebie page, where I can't find that particular one. Any idea where the file went? I'm so sorry about that! I have 2 places for freebies--- one in the tab above and one on the right sidebar (only when looking at by blog in desktop mode). I fixed the post to go right to the sheet now. Thank you so much for letting me know! Looking for the math cheat sheets to download, but am unable to access them. Any tips where to find them? Just started browsing your blog, and you are an awesome teacher. thank you for being generous.